Misconceptions about mortgages can cause buyers to stumble along the path to their next home purchase and even cost them money. So let’s bust some common mortgage myths! mortgagemythsPre-qualification and pre-approval are the same thing. Mortgage pre-qualification is based solely on your unverified, self-reported financial information. Pre-approval, on the other hand, means the lender has checked your credit; verified your income, assets, and debts; and given you a specific loan amount. As such, pre-approval carries much more weight with sellers and real estate salespeople than pre-qualification. Once you’re pre-approved, your loan is guaranteed. Borrowers, beware! Your lender will no doubt check your credit again before closing on your loan. If there have been any significant changes in your financial status (you’ve made a major purchase or changed jobs, for example), your loan could fall through. Keep things status quo until the paperwork’s signed. You’ll get the best deal by sticking with your current financial institution or lender. You may get the best deal, or you may not. Don’t be afraid to talk to your lender or broker to make sure you always get the most competitive rates and terms. You wouldn’t get anything else so pricey without researching it thoroughly – why should your mortgage be any different? The loan with the lowest interest rate is the best deal. Not necessarily. That loan could actually end up costing you more than one with a higher rate because the lender may pile a lot of fees on top in order to compensate for the money lost on interest. 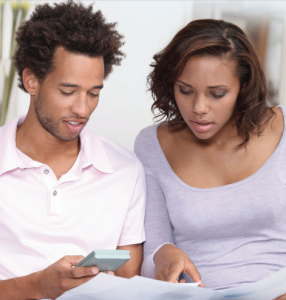 Be sure to consider fees and terms (like prepayment privileges) when comparing loans.